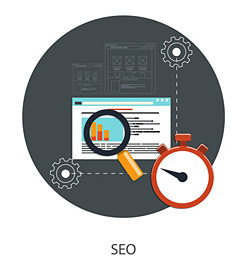 Search Engine Optimization or SEO is the discipline of online marketing that modifies the content of a site so it will rank higher for specific keyword searches. Containing useful information your visitor is looking for. Copy that sell your products or services. Find your niche: Is far easier to have a good position in the search if your focus your attention in a reduced set of keywords for a specific target audience than if you are vague and unspecific. It is important to use the search engine friendly content for your website and search engine optimization efforts, because this is the one opportunity that searchers see it. They click on as fast, as fast as they click off! This is the opportunity to seize the moment to communicate with your audience. If they are conducting a search to purchase an item, they find your website and are happy with what they see, chances are they are going become your client. That is the goal, to convert traffic into business! Why hire a professional for doing your SEO – Search Engine Optimization ? He or she has the knowledge to ignite your words into action, increase your ranking on search engines such as: Google, Bing, and Yahoo to increase traffic to your website, and has knowledge of your market. Know who your targeted audience is. Keep up on the technological trends in your industry. Use visuals, as they add life to the page and break up the text. Create content that is pleasing and gives your audience reason to come back. Don’t make promises you cannot deliver. Create copy that is search-engine friendly. This has an important effect on your website’s ranking. It is also an influencer to get “drive-by traffic” that will convert into business. The wording on your website has to be convincing enough for them to want to purchase from you. The key is to make them believe they need you! Engage your audience. Get their feedback. Don’t get technical. Keep your content simple, or you will lose your readers. Hire a professional copywriter who knows about SEO. Just like you would not compromise on your product, a professional copywriter is familiar with your targeted audience, understands your goods and services, has an abundance of creativity and knows how to channel it properly, and is well-versed in a variety of topics. Most importantly, look what it has cost you by doing it yourself or having a staff member do it. Do you want to have fun in your life and time to engage in revenue generating activities? Then hiring a professional copywriter will prove a good return on investment. Start today or you may not have that second chance! We, at Amphion Communications, can offer a responsible effective way to promote your website on the web.